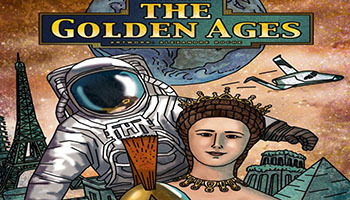 In The Golden Ages, you lead your civilizations through history. The game lasts four different eras, during which you develop technologies, create fine arts, erect buildings, and build wonders. You'll send explorers to discover the continents, found cities in distant lands, and send your soldiers into battles. There are many ways to score points - artists, the judgement of history, wonders, technologies, attacks, money, secret future technologies, etc. - as well as many different ways to achieve a victory. 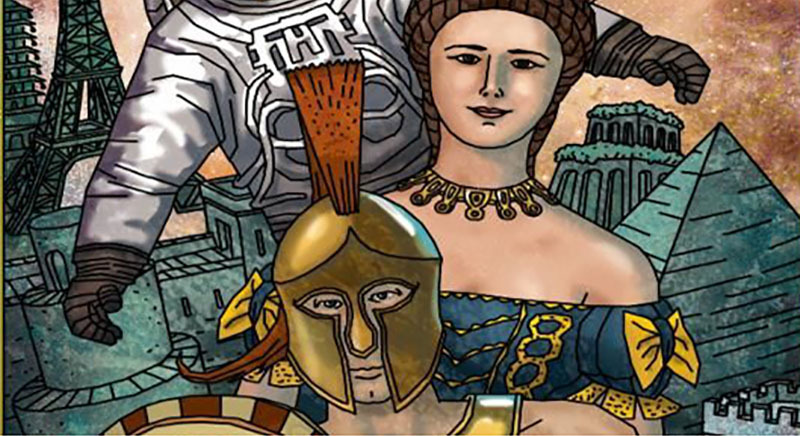 Will you succeed in evolving your civilization through history, overwhelming your opponents on the way to glory? You can move colonists up to 1 space on the map. You receive 1 Gold every time you take control of a game symbol. You can use building space number 1. You receive 1 Gold every time you place a cube on the map. You can move colonists up to 2 spaces on the map ('Wheel' becomes obsolete). You can move colonists up to 3 spaces on the map ('Carriage' becomes obsolete).